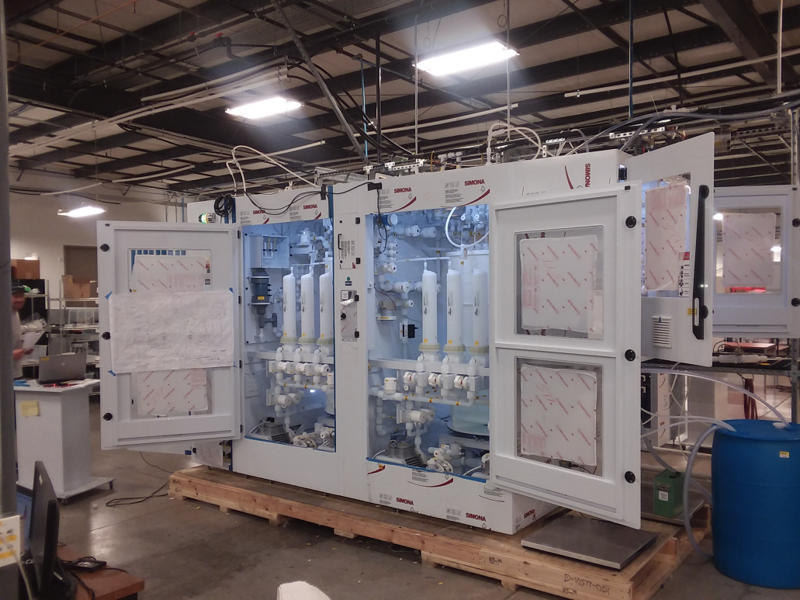 Lead by a three man team made up of a PLC Programmer, and (2) Field Service Technicians, DFS was able to complete an insitu, on-site upgrade to a client's existing OEM chemical blender systems. The upgrade came as a result of a request from a large semiconductor manufacturer, inquiring if DFS could do anything to improve their existing OEM chemical blender performance. Designed for one of our newest customers in New Mexico, the DFS FusionTM On-DemandTM Mini Mix is engineered to transfer chemical from an interchangeable 5 gallon Pail and bulk supply to the internal On-Demand Blender. Chemical 1 is supplied via the internal vessel. UPW, and Chemical 2 are supplied via the house supply source. We had an excellent turn-out at our exhibit for the Southwest Idaho Manufacturers Alliance (SWI-MA) MFG Day 2018 Job Fair. The "Made Here!" 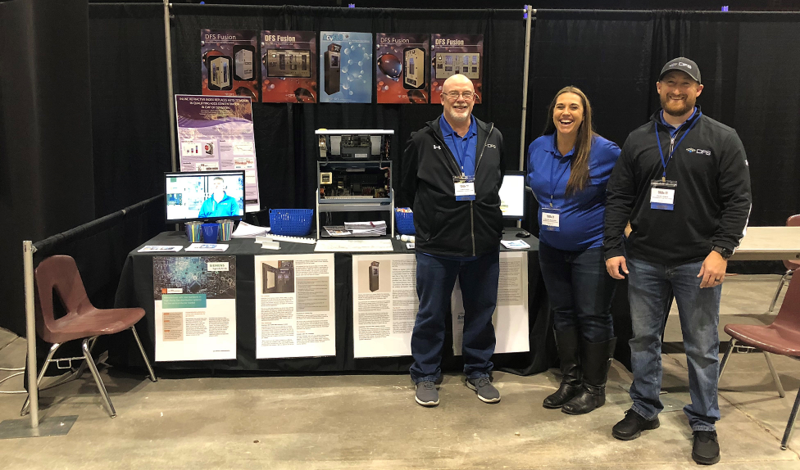 Expo and Job Fair, hosted by SWI-MA was a perfect opportunity to meet and interact with attendees, students, fellow manufacturers, and the public at large. Our employees put together a comprehensive multimedia display about our high-purity gas and chemical blending and distribution products, innovations, career opportunities and culture. 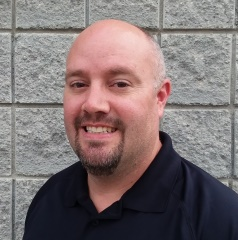 With our continued growth as a leading provider of high-purity gas and chemical blending and distribution systems, DFS is pleased to announce it has hired Christopher Read as our newest Regional Sales Manager. Chris will be based in Austin, Texas, where he will manage our southwest sales territory and cultivate and strengthen relationships with companies in the semiconductor industry. 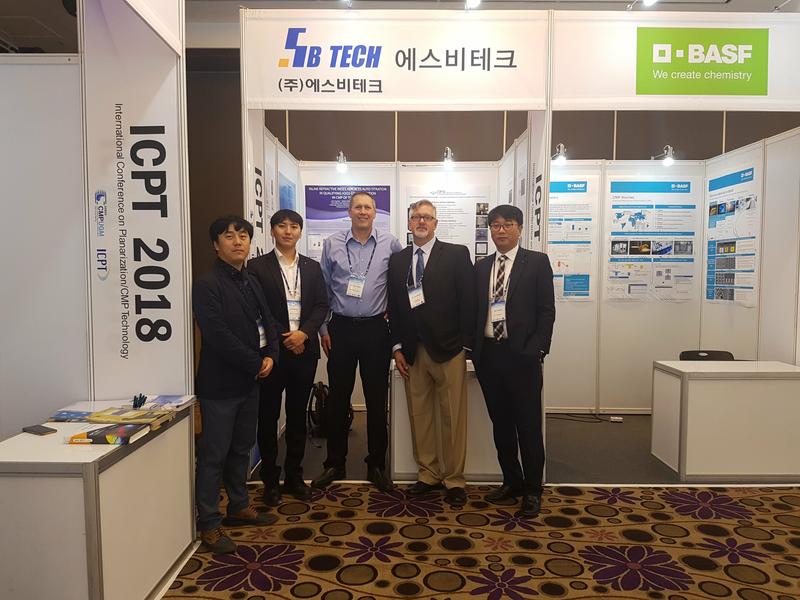 Karl Urquhart and our Korea licensee SB-TECH present Real Time Process Monitoring in CMP, Post CMP Clean Blending and Distribution Applications at the ICPT 2018, October, 15-17, 2018, Seoul, Republic of Korea. 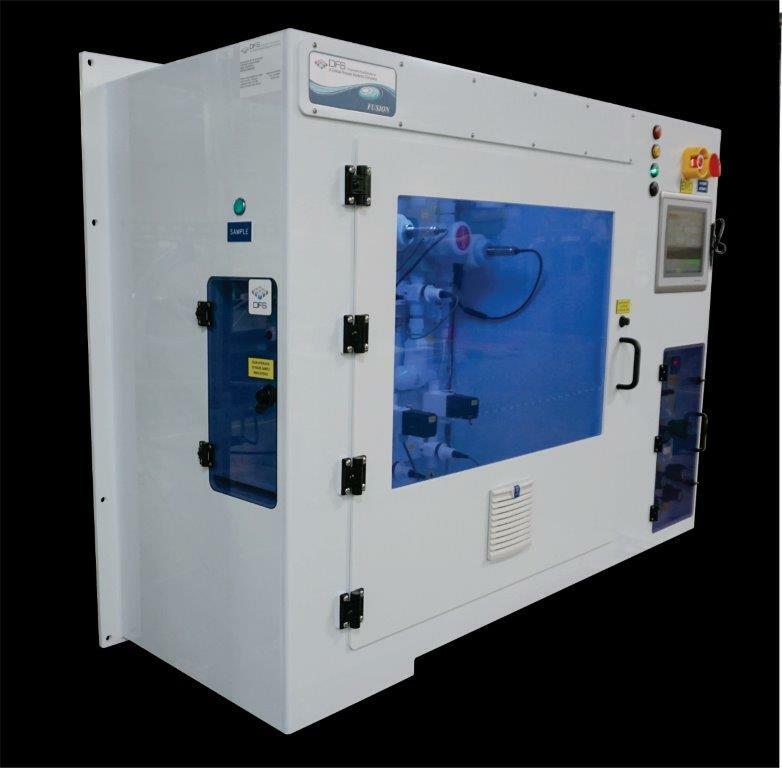 DFS recently developed and released a compact SC-1, 3 part blender, for a large Semiconductor Manufacturer. The Standard Clean Solution #1 (SC-1) process involves a sequence of cleaning steps using “standard” solutions and employs a mixture of ammonium hydroxide (NH4OH), hydrogen peroxide (H2O2), and DI water (H2O). The system enables recipe customization through an HMI with verified authorization. DFS is growing our business supplying liquid and gas systems. Our success is made possible through the hard work, commitment, and dedication of our employees. 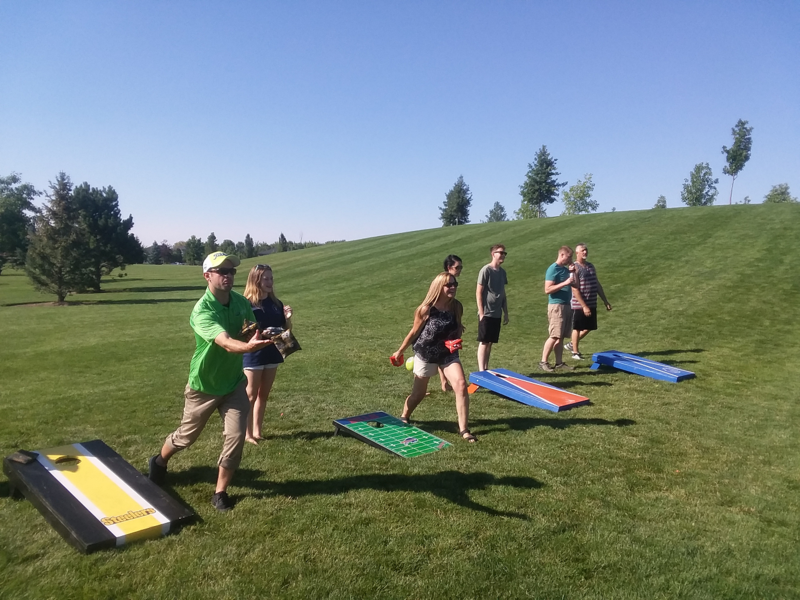 To celebrate, we held a summer employee barbecue in Kleiner Park in Meridian. Great food and fun...water balloon fights, pinata, bean-bag-toss competitions, face painting and more. See the hightlights below. Great time in perfect Idaho weather. Come join our team https://www.cpsgrp.com/careers.php. *Eric Peterson is a Sr. Mechanical Engineer at Diversified Fluid Solutions and parent to an active Meridian, Idaho Eagle Scout troop member. 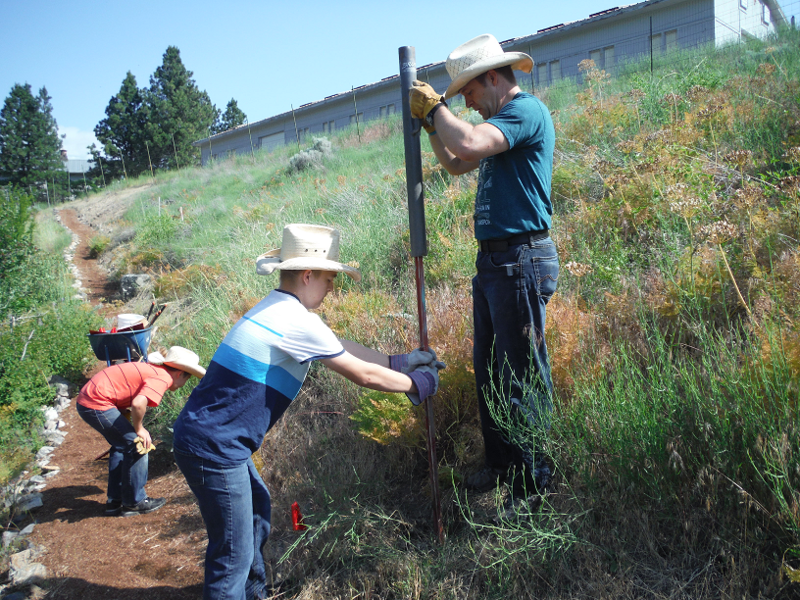 My son Cameron from BSA Troop 28 in Meridian recently completed his Eagle Scout Project by relocating and/or repairing most of the nature trail signs for Lucky Peak Nursery. Lucky Peak Nursery is part of the U.S. Forest Service where they harvest and preserve seeds, then grow trees and shrubs to replant after disasters. On-site Chemical Blending Increases Overall IC Process Yield, When Done Right. Precise control of chemical composition through use of on-site chemical blending and mixing systems improves overall IC process yield. This is accomplished by providing more consistent quality of materials that come into contact with the wafer and its forming circuits. 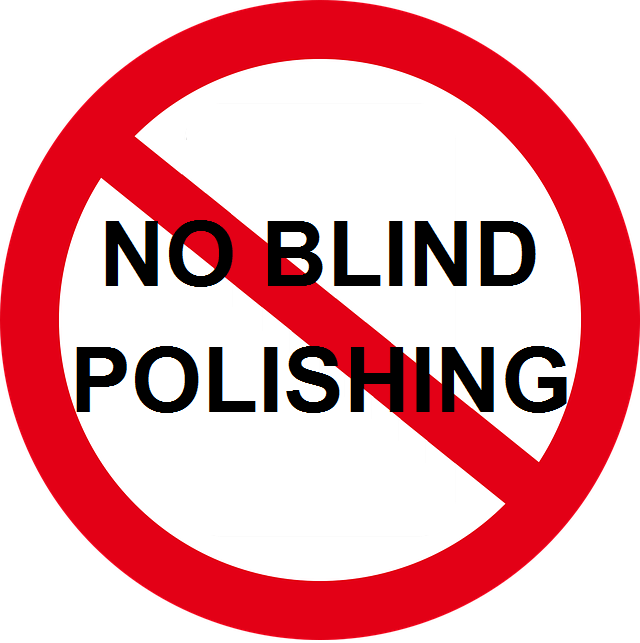 On-site blending results in tighter assay control, higher purity, and lower particles. 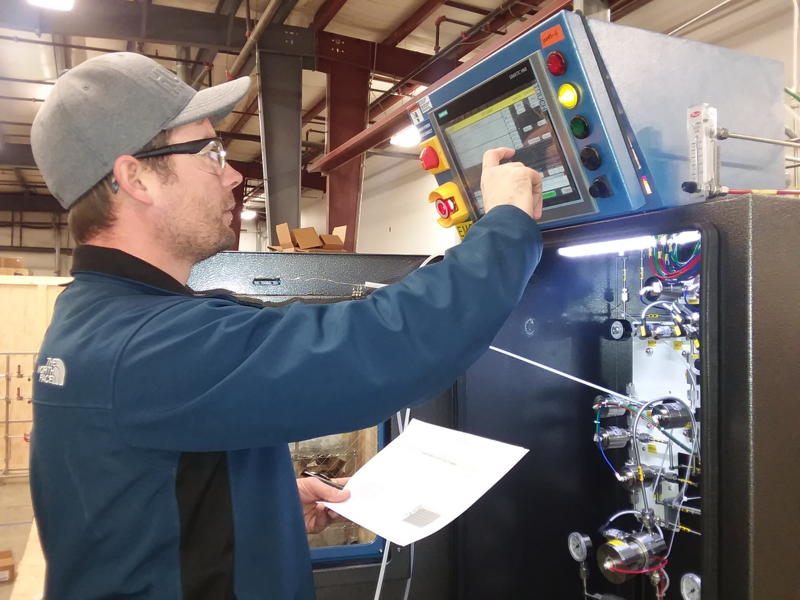 On-site blenders also allow users to test materials suppliers for comparison to optimize ROI and control cost. 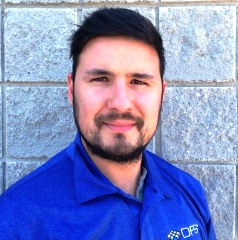 Boise, Idaho - Diversified Fluid Solutions continues its growth with the hiring of Jose Salinas as Gas Systems Product Engineer. Salinas earned a Bachelor’s degree in chemical engineering from the Monterrey Institute of Technology and a Master of Science Degree in oil and gas engineering from the University of Aberdeen in Scotland. He has worked for a major industrial gas company in process engineering, simulation, system design and project development. A given factory's chemical formulations are pushed to: 1) improve affordability, while 2) requiring higher process performances in critical areas. One way to accomplish both goals is to target incoming chemical solutions that are high in concentrations and complexity. Achieving the proper dilution and high performance in current and upcoming process nodes requires complex blends of organic and inorganic compounds in CMP slurry formulations. The combinations of all these factors result in products that have nuanced mixing and handling requirements. Diversified Fluid Solutions is pleased to announce the addition of Bernard Low to the DFS Field Service Team in the capacity of an independent local Field Service Engineer in Singapore. Chemical Mechanical Planarization or Polishing (CMP) is the method of using chemical slurry formulations with mechanical polishing-pad-action to flatten conductive or dielectric materials on silicon wafers in semiconductor manufacturing. The end goal is to achieve a flat enough surface aspect ratio as required by photolithography steps, where layers of integrated circuits are layered step by step. Last week at Semicon China 2018, Diversified Fluid Solutions (DFS) and Etouch subsidiary Phocus Semiconductor Technology entered into a licensing agreement to supply and manufacture DFS’ critical facilities process equipment in China. 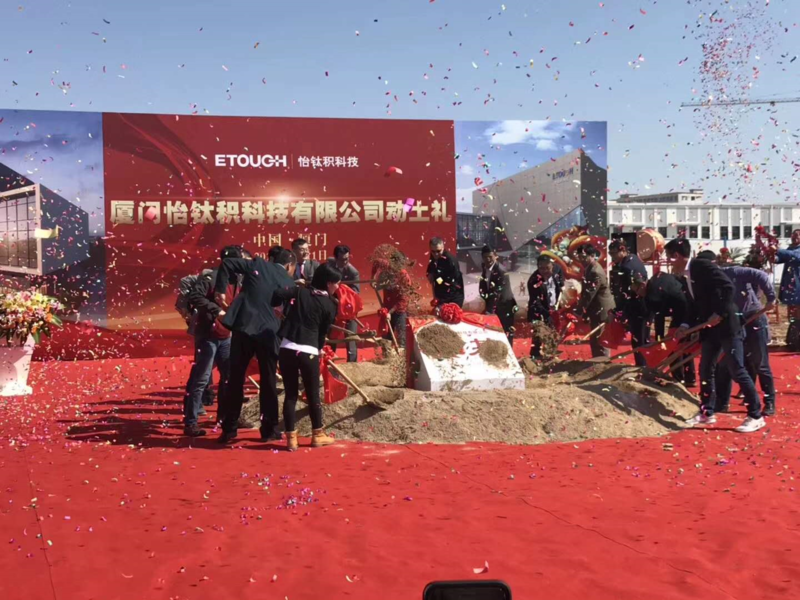 DFS President Darren Willey joined the Etouch groundbreaking ceremonies on March 11th, 2018 in Xiamen where a new Phocus manufacturing facility will be dedicated to DFS equipment. Characterization and importance of chemical mix uniformity, precision, and preservation of purity levels to reduce cost, prevent rework/scrap, and increase Process yield overall. Manufacturers place a great deal of emphasis on cost reduction, prevention of rework or scrap, and increasing overall process yield. One result has been a rise in precision and control technology innovations geared towards process chemicals uniformity. Many focus on individual aspects of metrology for quantitative, or qualitative determination, either by off-line or inline methods, with the intent to achieve the highest productivity at the lowest cost. 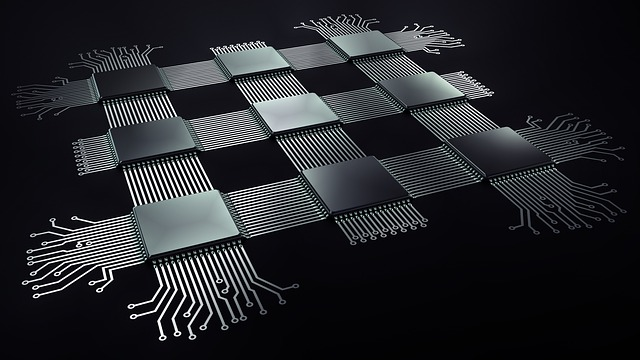 To serve today’s Semiconductor gas market; DFS employs advanced technical knowledge, build capacity, and programming expertise to develop game-changing gas delivery systems. The ACvFLO High Purity Gas Delivery System has advanced functionality and capabilities not seen in the Semiconductor industry to date. 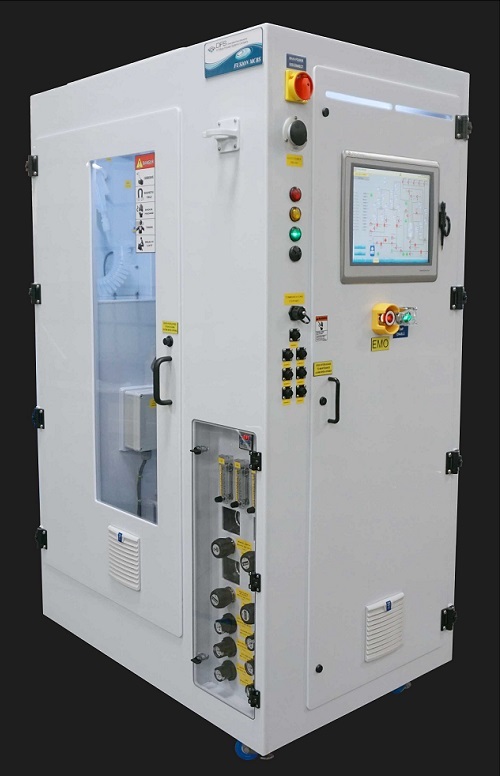 These advancements include an open, fully integrated PLC and HMI panel, with connectivity and networkability, operational sequences, and automated pressure control. Diversified Fluid Solutions recently kicked-off its presence in South Korea by attending and exhibiting at the 30th annual Semicon Korea expo in Seoul. The exhibition featured nearly 2,000 booths from global leaders in the semiconductor industry and drew an estimated total of 50,000 attendees to the event. 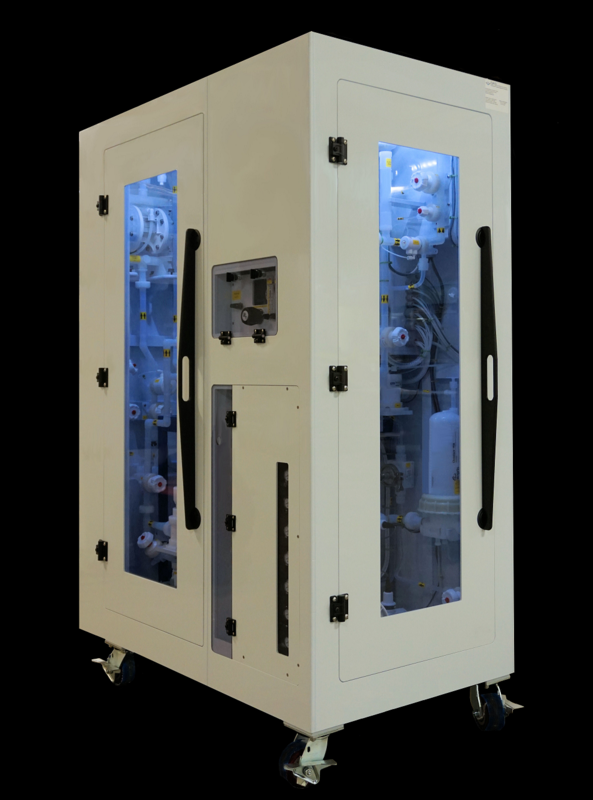 On display from DFS was this Fusion MCBS Minimix unit (shown to the right) as well as a multitude of other precision chemical and gas blending and distribution systems. 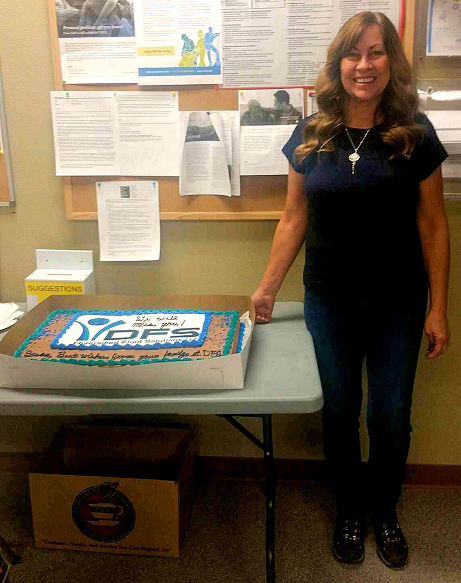 Employees of Diversified Fluid Solutions recently gathered to wish Susan Elsey, one of the company’s first employees, a fond farewell. Susan, wife of CEO Fred Elsey, helped found the company in 2009 along with Fred Elsey and Darren Willey. Over the years, Susan has worked in accounting, human resources, inside sales, graphic design and just about every other role needed to keep the company going. 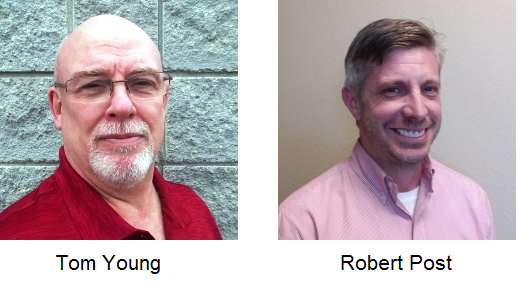 With the recent addition of two high-caliber individuals to its management team, Diversified Fluid Solutions has strengthened its position as a leading manufacturer of high-purity gas, chemical, slurry blending and distribution systems. Part of what comes with specializing in the development of high-purity-high-precision systems is a talented pool of intelligence capable of performing unique plastic and custom metal fabrication projects. 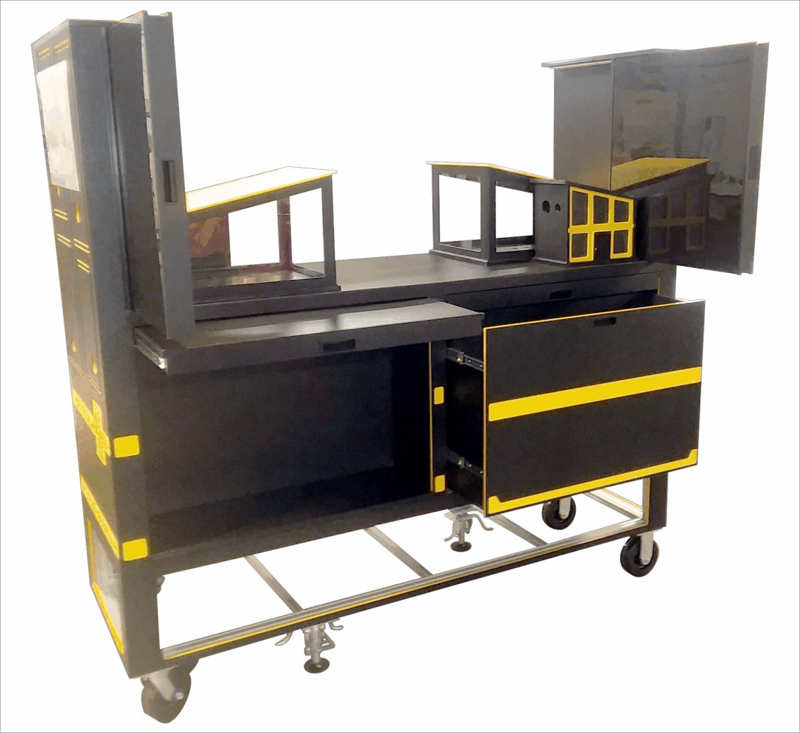 In fact, it's not uncommon for us to recieve requests for custom products like this multi-functional electricians training table. Given Diversified Fluid Solutions' commitment to schedule, technology, and service, we were thrilled to be presented with an opportunity to combine our experience and standards into an educational product. Diversified Fluid Solutions recently completed work on a precision slurry blender which increases overall production capacity and process control. Through advancements in our proprietary blending technology, the fully-automated Fusion™ Slurry Blender eliminates deadlegs in the flow path of the slurry while managing loop pressure control to +/- 0.3 psi. The end result is improved yields, process control and repeatability across the board. During the month of September, Diversified Fluid Solutions (DFS) of Boise, Idaho hosted a delegation of Korean technicians from SEBO Corp, (SEBO), a leading contractor and manufacturer in Korea. DFS designs and manufactures high-purity chemical, gas and slurry blending and distribution systems for high tech customers worldwide. 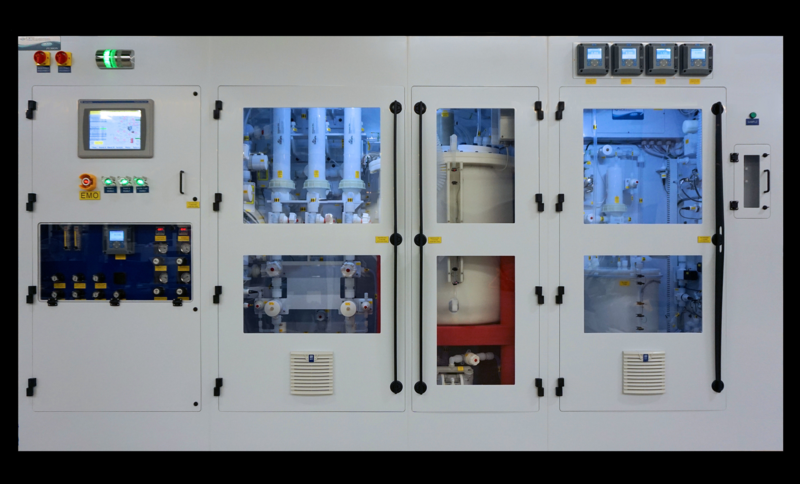 DFS recently licensed SEBO to manufacture DFS blending and distribution systems for certain Asian semiconductor markets. SEBO is currently building a state of the art factory in Korea to manufacture the systems. Paul Lyons, one of the first employees of Diversified Fluid Solutions, has left the company to take an engineering position elsewhere. "Paul was a critical contributor in building DFS to where it is today, due to his knowledge, technical skill and passion for creating the best fluid blending and distribution systems possible," said Fred Elsey, CEO of DFS. 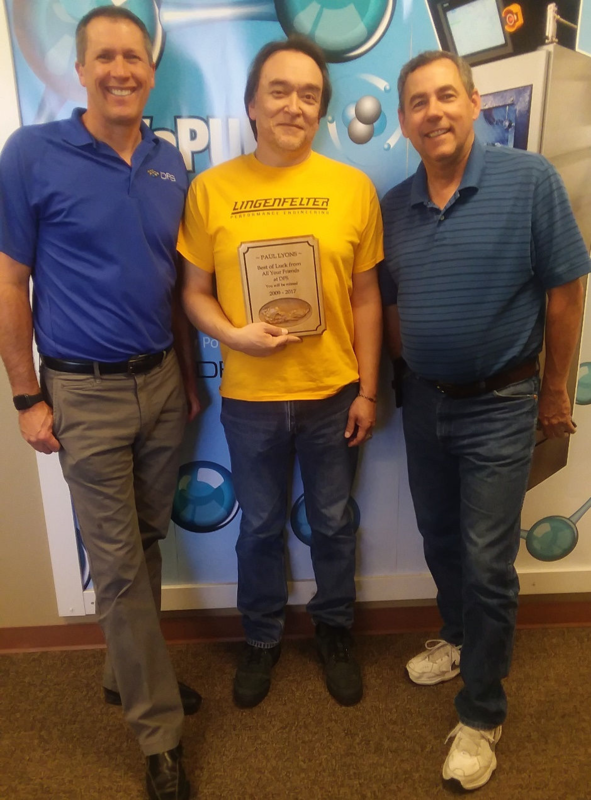 "Paul's dedication started when we were just getting off the ground and he has been a key factor in making DFS a leading supplier of advanced fluid management systems to the semiconductor industry."